The ElderCare Law Firm Inc. is a true elder law firm. 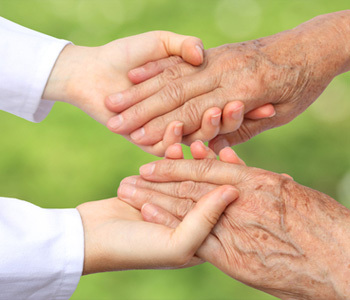 We are passionate about working with seniors to protect their welfare and interests. We provide patient service, a simpler explanation, and true understanding for your unique challenges. If you, or someone you know, needs the assistance of an experienced elder law attorney, call our office today. Elder law is a relatively new area of legal expertise. Historically, seniors were cared for at home by their families, avoiding expensive long-term care costs. But as life expectancy has increased and families have become more spread out, we see more and more seniors in need of long-term care services. According to the U.S. Department of Health and Human Services, at least 70% of people over the age of 65 will require some long-term care services at some point in their lives. This is likely to affect all of us in some way or another. At the same time, laws relating to seniors have become increasingly complex. Seniors and their families have to deal with such things as Medicare, Medicaid, Social Security, estate planning, nursing home law, veterans benefit law, guardianship and conservatorship law, wills and trusts, powers of attorney, health care directives, contract law, incapacity, and health care privacy laws. Additionally, seniors and their families may have to interact with a wide range of residential and health care options, such as in-home non-medical care, in-home medical care, long term care, adult living community options, assisted living facilities, nursing home care, and hospice. This can be overwhelming! An elder law attorney is special breed of lawyer that is not only a legal expert in a variety of laws that effect seniors, but who is also a part of the community of professionals and institutions that serve seniors. An elder law attorney can help seniors and their families with everything from legal options to care options, from planning to implementation, from independence to dependence, from mental wellness to incapacity. After death, an elder law attorney helps loved ones tie up the senior’s affairs according to their instructions. Here at the ElderCare Law Firm Inc., we have a team of elder law attorneys who specialize in providing care and protection for seniors. The ElderCare Law Firm Inc. would love to serve you or anyone in your family looking for an attorney who is skilled and knowledgeable in senior legal issues—contact us today!